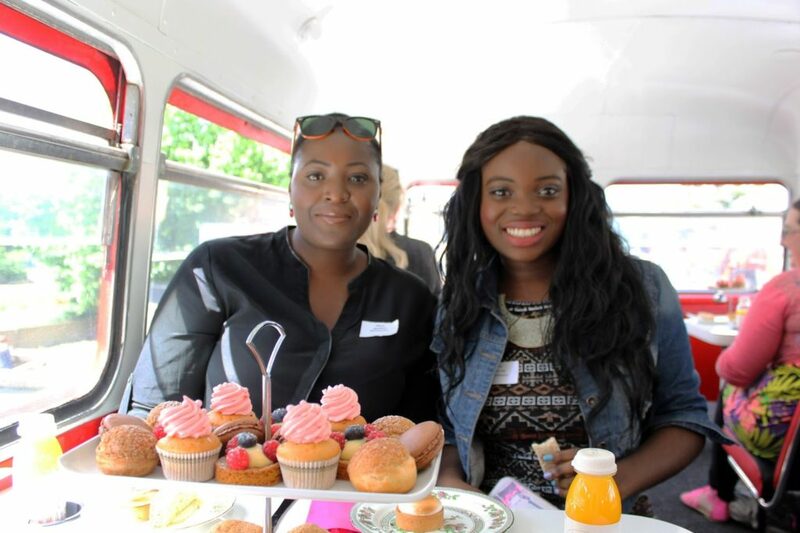 Shortly after the Curry’s Juicing event with Joe Blog’s Network about a month ago, I was invited to another exciting event – An Afternoon Tea Bus Tour. This time it was for Thistle Hotels under #ThistleBusTour. This Joe’s Bloggers event was slightly different from the other one, but they both had a similar theme! You guessed it: a combination of food and fun! What’s special about this event was that we got to be VITs (very important tourists) in London for two hours! Although I’ve been in London for a few years now, I’ve only been on a tour bus once! 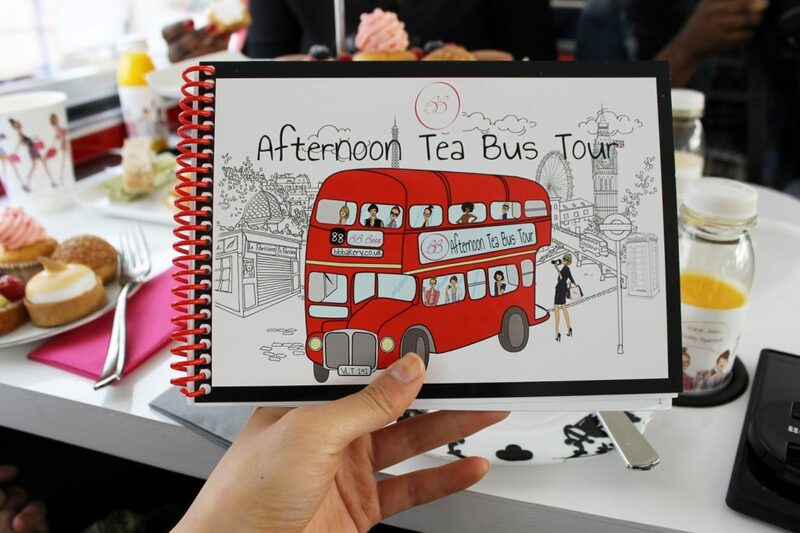 However, as seen in the pictures, this wasn’t just any tour bus taking us across all the beautiful sights in London, it was a SPECIAL tour bus where you can sip on a cup of tea and eat savoury and sweet treats! 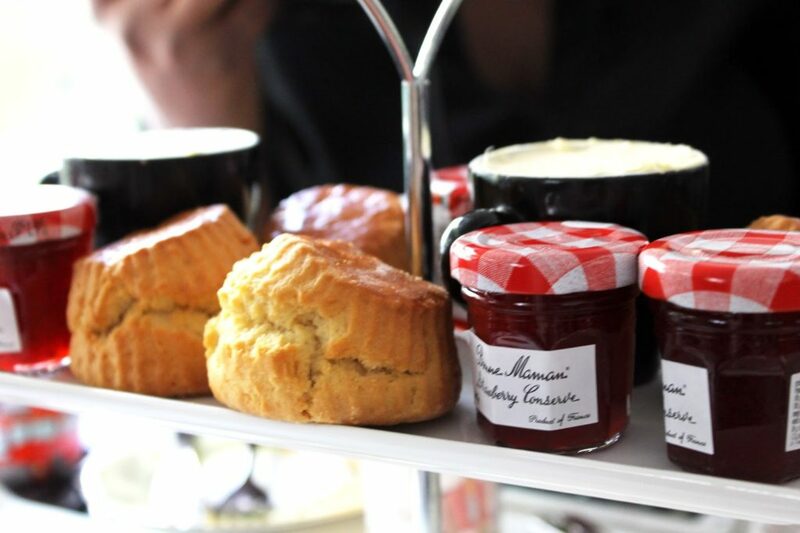 Yes, it’s an Afternoon Tea Tour Bus – how EXCITING! The moment I saw the interior of this bus, I knew that we were in for a treat! 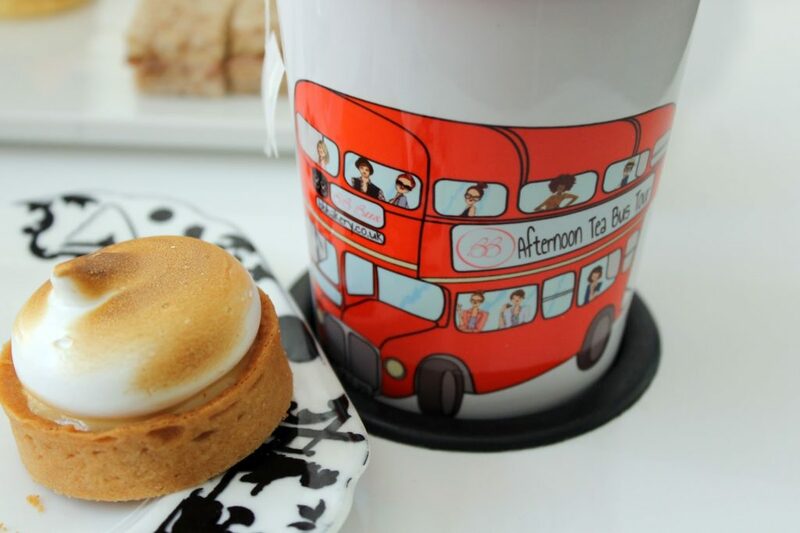 It looked pretty much like any old red bus from the outside, but instead of being filled with boring old seats it was filled with soft seats, sturdy tables and some delicious looking treats! The entire layout was very well thought-out because they knew that we were up for a bumpy ride! 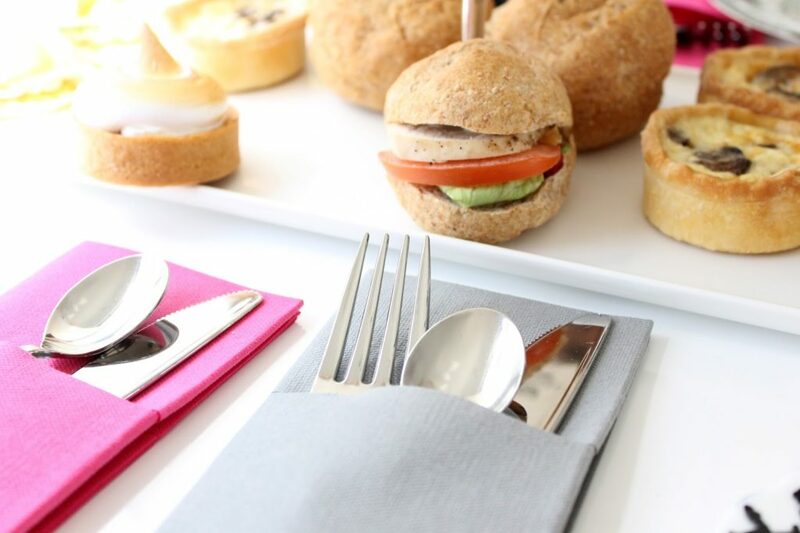 The savoury sandwiches were laid out nicely at the bottom with the gorgeous looking sweet bakes as centre pieces at the top. We were also given plastic cutlery and plastic thermal cups, which I think was a nice touch as you don’t want metals and ceramics flying around in case of an emergency. 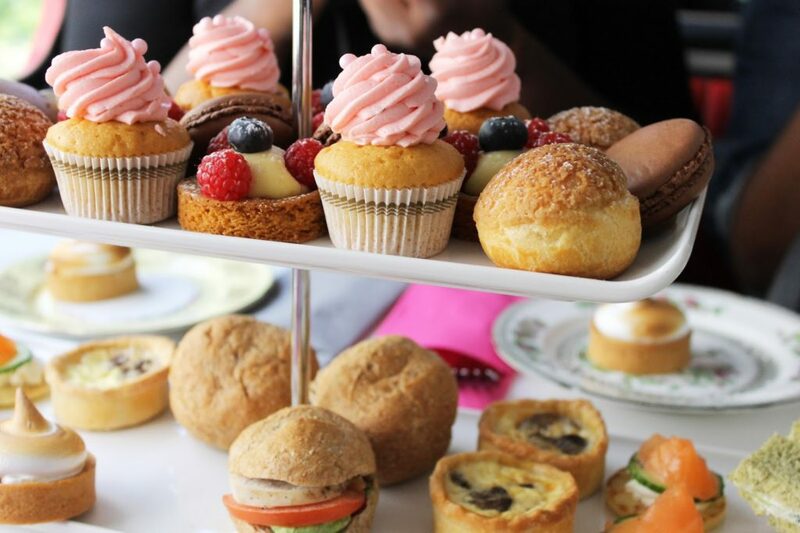 If you want to learn more about the menu, book an Afternoon Tea Bus Tour or simply want see more amazing cupcake shots, then you can take a look at BB Bakery’s webpage. 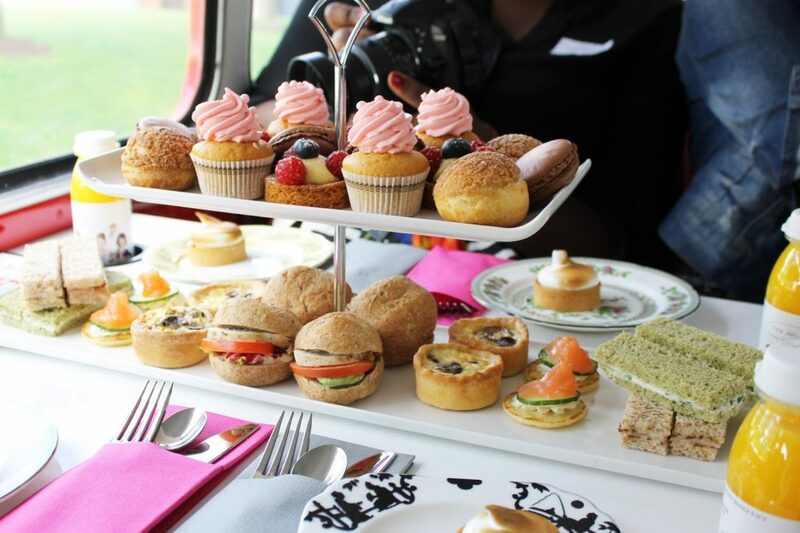 Anyways, as you can see, I’ve hardly taken any photos of the view from this Afternoon Tea Bus Tour because I sat by the aisle and didn’t lean across the dessert filled table for a snapshot, but I promise you that we did go past all the places I mentioned above. So if you’re a keen traveler and want to know more about hotels, you’ll be pleased to know that there is a Thistle hotel near all the major attractions in London, including: Marble Arch, Hyde Park, Trafalgar Square and most of the above mentioned locations. To find out more, don’t hesitate to visit Thistle Hotels.